What motivates workaholism and should it be avoided? When behavioural strategist Warren Kennaugh was contracted to assist with the performance of a senior consultant in a major firm, he recognised fairly quickly what was causing this hard-working professional to execute her work below her usual high standards. "My client had come to Australia from the US to live a different life," says Kennaugh, director of WK Global. "Here she was putting all this effort into her work, then she got feedback that she wasn't that great at it, which was quite jarring for her," Kennaugh says. "I discussed the fact that she needed to start doing the things she came here to do. She said she liked cycling but didn't own a bicycle. So her task during week one was to buy a bike. Then we discussed finding a group to ride with, and that could lead to the chance to meet people, to connect socially. "Finally I worked with her to move out of her one-bedroom apartment near the office to a house by the beach. The solution was not to make her work more or harder, it was to get her out of the office." Workaholics come in many forms and have an endless series of motivations for spending more time than most in the office. The reasoning is as individual as the person, but recent research has shed some light on the types of people most likely to become workaholics. In the paper, Personality & Workaholism, the co-authors report on a study that examined how a range of contemporary models of personality are associated with workaholism. Perhaps the most surprising finding is that workaholism does not appear to be a form of addiction. "Workaholism does not activate the addictive pleasure system associated with other types of dependency such as drug addiction," the authors say. Instead, the motivation behind workaholism is different in specific personality types and under particular working conditions. 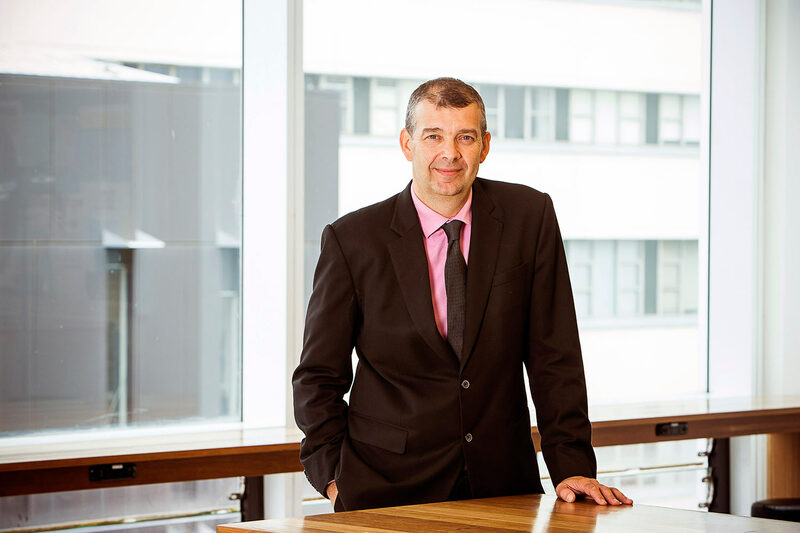 Chris Jackson, a professor in the school of management at UNSW Business School, is the paper's senior author. He says one way to think about the research results is to split personalities into two types – extrovert and introvert. The extrovert seeks reward in the form of stimulation and social opportunities. The introvert seeks to reduce their exposure to punishment and so is fearful of the types of situations that extroverts seek. "To understand workaholism itself you must understand that the will to work comes from two different perspectives. Firstly, people can enjoy work, and secondly, people are driven to do work," Jackson says. "Once you make that split you can see how extroverts would be more into workaholism thanks to an enjoyment of work. They get rewards from work and that makes them continue to work harder. "On the other hand a neurotic person, an anxious worrier, feels more compelled to work hard because it helps relieve various uncertainties – what people will think of them, whether or not they will be fired etc. In other words, neurotic people try to reduce their fears by working hard. So a person's level of neuroticism predicts their drive to work hard, and extroversion predicts enjoyment of work." Being driven to work hard as a result of neuroticism seems more of a negative than the simple enjoyment of work, but Jackson says both can be equally damaging. Workaholism can negatively affect other parts of an individual's life or damage their performance in the workplace. "Either way, workaholism is not in an organisation's best interest," he says. "At the end of the day people will get sick and stressed. They will burn out. People who are at their desk all day don't necessarily produce that much, and workaholics who are constantly straining and toiling are not able to stand back and see how they or the business could do things better. "However, a lot of organisations don't recognise that. They want people to be seen to work hard and they often select for it." Interestingly, the motivation behind workaholism also varies between worker and manager. In workers, a level of neuroticism is associated with a feeling of being driven to work hard, rather than working hard for the enjoyment. But this specific motivation to work hard is not as apparent in managers. "These relationships can be interpreted as reflecting a tendency for neurotic and anxious people to feel compelled to work in junior work positions, but not in managerial jobs," the authors say. "In an organisation, lower-ranking employees are often subject to fear and anxiety due to work demands, and this is likely to lead to feeling 'driven to work'. Due to their relatively high status in organisations, it is plausible that managers are less likely to experience anxiety during work." Generally, senior people in organisations are motivated to work hard to achieve a high level of reward (the way of the extrovert), the research says, where more junior people are driven to work in order to avoid punishment (the way of the introvert). The big question is what a business can do to recognise workaholism among its workforce in order to help those staff members improve their lifestyle and productivity. "Workaholism is probably not too difficult to recognise, as is the case with most things that have a detrimental effect thanks to an over-focus in a person's life," Kennaugh says. "Whether it's an addiction or not, it's not dissimilar to a person drinking too much, playing too much sport or buying too many clothes. Work is something that people can sometimes put extra effort into in order to keep their world feeling sane. "The challenge is figuring out when it becomes a problem. That occurs once it begins to knock things out of their appropriate balance, when it costs that person the things they value." But some lucky people, Kennaugh points out, really do enjoy their work and if they put in long hours, they're possibly better off than the clock-watcher who hates their job and never works overtime. "We tend to think of workaholism in terms of hours," Kennaugh says. "But there are plenty of people who will work just 40 hours each week but don't want to be there at all. That's just as big a problem as the workaholic who does 80-hour weeks. "If you're turning up to a place every day because you're fearful of what will happen in your life if you don't, that's bad for you and bad for your employer." Page last updated: 19/07/2017 3:34 AM Disclaimer Some pages on this website are updated dynamically on a regular basis. This may not be reflected in the ‘Last updated’ date.